Welcome to our parish. 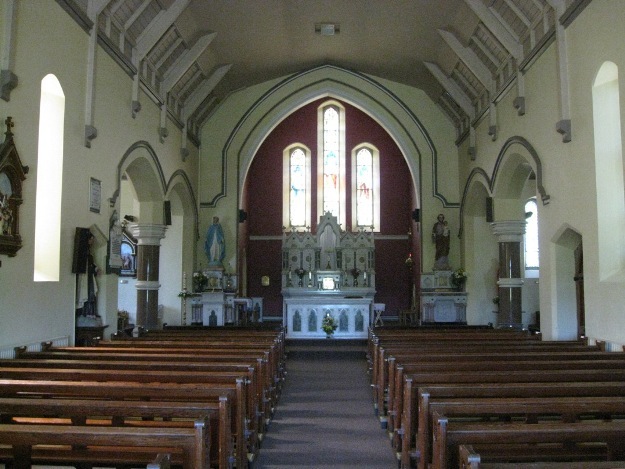 The parish of Dunhill and Fenor is situated in the southeast of Ireland in the diocese of Waterford and Lismore, about 15 km southwest of Waterford city. Of course, if you are a parishioner, you already know where we are. However, you could be an American in Paris who just happened upon this web site and, naturally, you might wonder where our parish is situated. Long ago the area was served by three churches in three separate parishes: Dunhill, Reisk, and Islandikane. In 1760 or thereabouts these parishes were replaced by the joint parish of Dunhill and Fenor in which Fenor served the areas of Reisk and Islandikane. 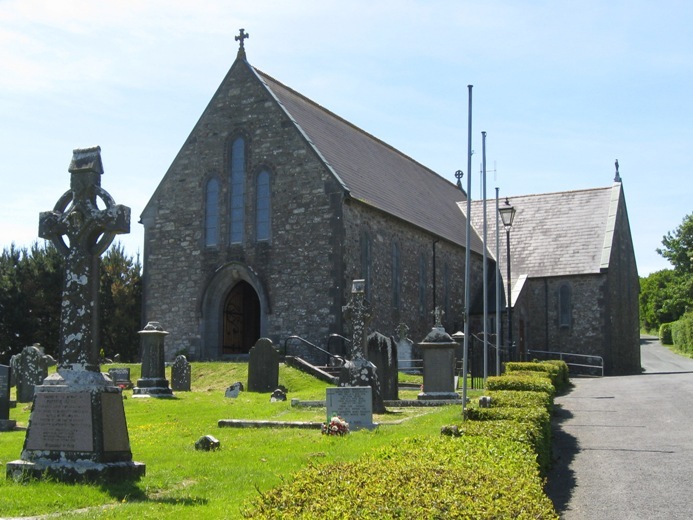 There are now two churches in the parish of Dunhill and Fenor: the church of the Sacred Heart in Dunhill, shown below, and the church of the Immaculate Conception in Fenor, shown above. You can learn more about parish history by selecting the “Information” tag in the menu bar above this page. 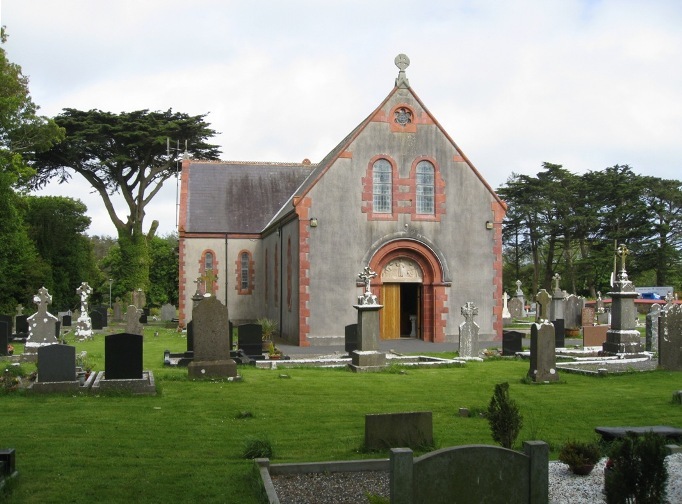 You can learn more about our two churches from the brochures “The Church of the Sacred Heart, Dunhill” and “The Church of the Immaculate Conception, Fenor” which are available in the two churches and which may be seen by clicking HERE. In case you might try to find us using your satellite navigation system, we have given the latitude and longitude of each church. So now there’s no excuse for not knowing where we are! Of course, our parish is not simply a collection of buildings or a geographical area – it is a community of Christian people that strives to love God and neighbour. The purpose of this web site is to assist them in their spiritual journey and to help them to join in the life of the parish by providing information about parish life, services, and resources. We are led in our journey by the parish administrator. We hope that you will enjoy your visit and come back again soon and often. 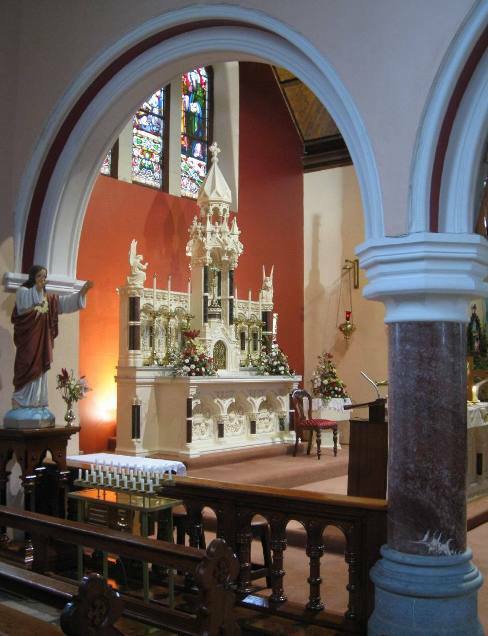 Newcomers to the parish are especially welcome and should find plenty here to interest and inform them, while those who are living or travelling abroad may keep themselves up to date. Most of all, we hope that our faithful parishioners of long standing will be pleasantly surprised by what they find in this, their very own web site.